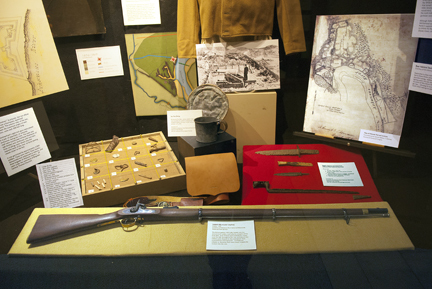 First Post, the Capitol’s first seasonal exhibit of the year, explored Arkansas’s first settlement and capital. Arkansas Post was established in 1686 as the first European settlement in what became first the province, then the territory of Louisiana. It was relocated several times over the years. During its history Arkansas Post has served as the capital of the then-new “Arkansaw” Territory, a cotton-shipping point and a Civil War fortification. In the 1930s, a state park was established, and in 1960, the Arkansas Post National Memorial was established commemorating European exploration and settlement of the lower Mississippi valley. First Post included a comprehensive collection of artifacts from archaeological digs, ranging from pottery shards to clay pipes, stone scraper blades to artillery projectiles. 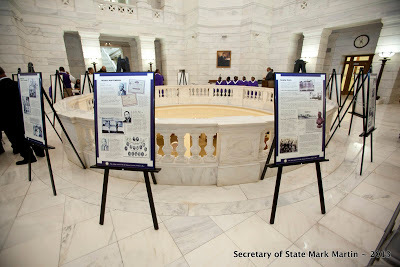 Secretary of State Mark Martin hosted a special Black History Month exhibit in February 2013 on the Brinkley Academy, a residential school for African-American students founded in the late 1800s. A consortium of Missionary Baptist congregations in eastern Arkansas pooled their resources in 1893 to establish a residential secondary school for African-American youths. The Consolidated White River Academy or, as it was often called, the “Brinkley Academy,” provided both direction and inspiration to nearly six decades of students. Established in an era when public secondary education was routinely denied to African American youths, the Academy did its good work while society changed incrementally. It opened its doors three years before the Supreme Court’s landmark Plessy v. Ferguson decision sanctioned the doctrine of “separate but equal.” It closed a year before Linda Brown, a third-grade African-American pupil, was denied the right to enroll in the school closest to her Topeka, Kansas home, leading to the Court’s 1954 Brown v. Board of Education decision. The Consolidated White River Academy was one of three African-American boarding schools located within a few miles of each other. These schools, established in the late nineteenth and early twentieth centuries, would each close within a few months of one another in 1949-50, their mission increasingly shouldered by segregated public high schools.The photographic display, “Old School,” became a traveling exhibit coordinated by Park Central of Little Rock. The Capitol’s summer exhibit, Spanning the Century (and more), offers a colorful exploration of Arkansas bridges and highways. 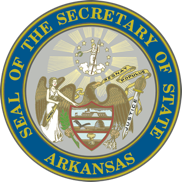 It salutes the Arkansas Highway Commission on its centennial anniversary. The Commission was created when the state legislature adopted Act 302 of 1913. The new agency had a broad mandate: to supervise road construction and maintenance and to assist counties and local road-improvement districts. Over the past century, the Highway Commission and the Arkansas Highway and Transportation Department (AHTD) have expanded a network of modern roads across the state. But many historic structures remain in place today. Our newest exhibit highlights a number of Arkansas’s historic bridges, Martin said. 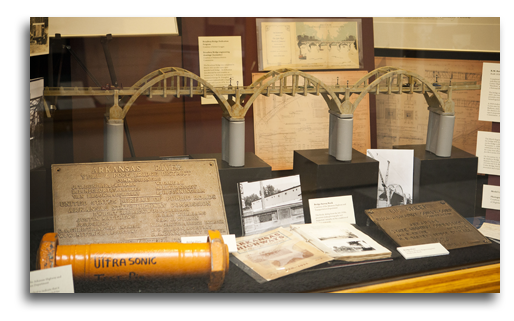 The display celebrates the variety and survival of several vital engineering feats among those documented by the AHTD’s Historic Bridge Program. The centerpiece of the exhibit is the photographic collection God Willin’ and the Creek Don’t Rise. These impressive images of historic bridges are the work of Hendrix College art professor Maxine Payne. 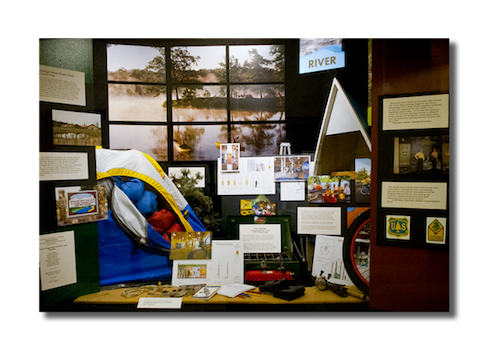 The exhibit also includes other images as well as engineering drawings, models, bridge plates and other artifacts. In addition to the first-floor exhibit areas, Spanning the Century (and more) includes panels in the Capitol’s lower-level gallery, showing some of the state’s most significant and visually appealing historic bridges. Spanning the Century (and more) has been produced in collaboration with the AHTD and its Historic Bridge Program, Hendrix College and the Arkansas History Commission. It will remain on display through August 2013 in the Capitol’s ground floor and lower level galleries. • Petit Jean State Park, where the park system began in 1934. The legendary Mather Lodge, built by the Great Depression-era Civilian Conservation Corps (CCC), reopened in May 2012 following a major renovation. Modern additions have been replaced by facilities that harmonize with the original rustic design. Two paintings done on site by CCC artist George Snyder are now a centerpiece at the lodge. • Delta Heritage Trail State Park, being developed along the former Union Pacific Railroad right-of- way. It stretches through remote, scenic areas from just south of Lexa to Rohwer, extending to Arkansas City on the Mississippi River levee. The trail leads through a canopy of native hardwoods and along agricultural fields with historical displays along the way. • Ozark Folk Center State Park, America’s only facility dedicated to keeping the Ozark heritage alive through crafts, music and more. The Winthrop Rockefeller Foundation funded the park’s newest display, which explains the roots of music in the Ozarks. • Mississippi River State Park, the newest park, developing in partnership with the U.S. Forest Service in the St. Francis National Forest. Exhibits and activities help visitors explore the ecology of the Arkansas Delta, the St. Francis and Mississippi Rivers and Crowley’s Ridge. Phase I opened earlier this year with renovated campgrounds at Beech Point and a visitor center southeast of Marianna. The exhibit for the Christmas season was Golden Memories: What We Read, What We Remember. An extensive collection of fairy tales and beloved children’s stories offered a look at Little Golden Books, first introduced in 1943.